Diageo is now the major shareholder in United Spirits Limited (USL), the leading Indian spirits company, with a shareholding of 25.02%. The acquisition by Diageo of a further 14.98% stake in USL was completed today for a total sum of £344,190,791. 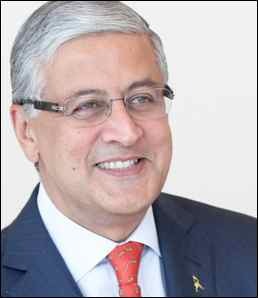 Ivan Menezes (pictured), chief executive of Diageo, said: “USL’s strong market-leading position combined with Diageo’s strength and capabilities opens an exciting and important new chapter for Diageo in the attractive Indian spirits market. Since we received approval for this transaction we have been getting ready for closing and integration. Having completed the share purchase, we will now begin the work to identify and capture the significant growth opportunities within this attractive market.